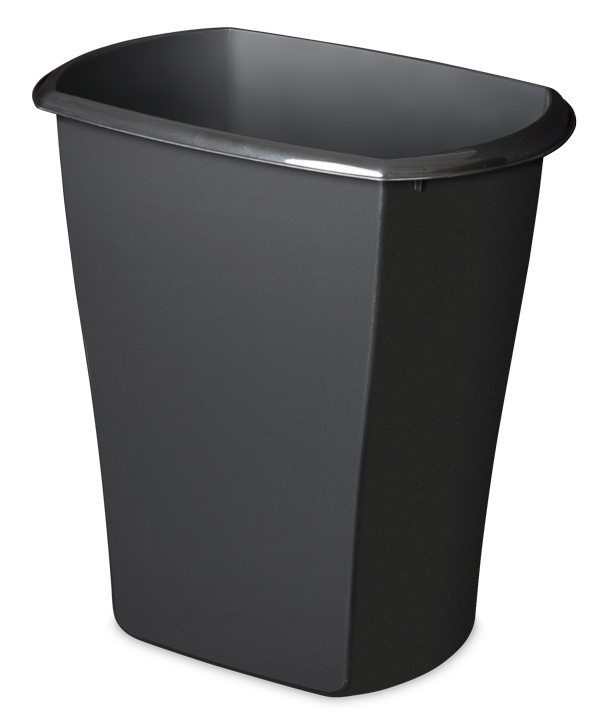 10 Gallon Rectangular Wastebasket is rated 5.0 out of 5 by 5. Rated 5 out of 5 by Paula from This product is built to last. 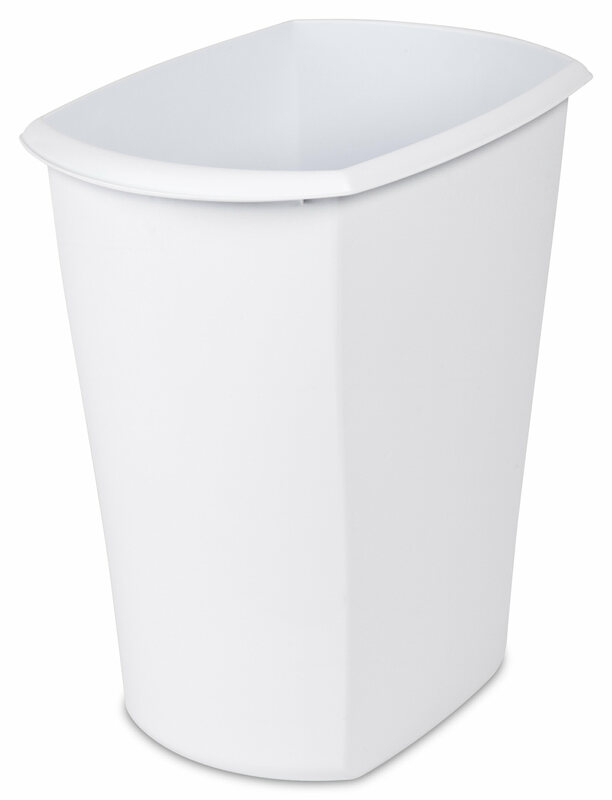 I have had this wastebasket for a few years, and it still looks like the day I bought it. It gets constant use in my workbench area. The quality and durability of the basket is top notch. The plastic has not cracked from age or heavy items being inside. It cleans up very easily when there is something messy inside. Rated 5 out of 5 by Joan93555 from Clean lines and stackable I have 3 that I am continually finding uses for. I 13 gal trash bag fits perfectly~sometimes trash and sometimes picking up toys and sorting later~My portable paper shredder fits on top~I shred then finish up using it for all other trash. Rated 5 out of 5 by Sandynb from My go to for yard work! I love this can! I’m the yard work person at my home and mow and trim and clean up. I use this guy to carry along with Me. It’s light enough to move around easily, the open top lets me just put all the clippings and debris i easily . Even full, it’s a good weight to transfer over to our main trash cans . I use it all the time! Rated 5 out of 5 by Sandyh from So handy! I use this trash can to pickup leaves and yard debris. I can fill it and still carry it easily. It makes it very easy to do that job! I gave used it for over 10 years! Rated 5 out of 5 by Rhonda P from Fits perfectly! We have had this garbage basket for over 7 years, and it is in great shape despite what it has to hold each day! Easy to clean, fits perfectly under our cabinet behind closed doors, and hopefully will last another 10 years! Great product!